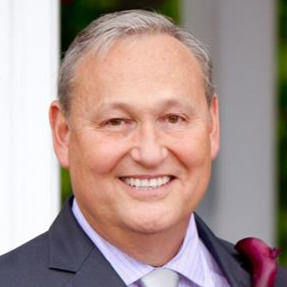 Roger K. Smith, 68, of Olathe, passed away peacefully on January 28, 2019 in the presence of loved ones. Visitation will be 5:30 p.m. to 7:30 p.m. Wednesday, January 30 at Stony Point Christian Church, 149 S. 78th Street, KCK. His funeral service will be 10:30 a.m. Thursday, January 31 at the church. Interment will be at Shawnee Mission Memory Gardens. In lieu of flowers, the family requests memorial contributions be given to Stony Point Christian Church, Olathe Hospice House, or to a charity of the donor’s choice. Roger Kent Smith was born December 9, 1950, the son of Denny M. and Teoma M. (Gibson) Smith, in Kansas City, KS. Roger grew up in Kansas City, KS and graduated from Turner High School, Class of 1968. There, he met his sweetheart and future wife, Rebecca Winters. During his high school years, Roger achieved the rank of Eagle Scout and enjoyed performing in musicals and plays. Roger then attended Emporia State University, where he became a member of the Phi Delta Theta fraternity, and graduated with a Bachelor’s Degree in Biology in 1972. In 1975, Roger graduated from the UMKC School of Dentistry and joined the Air Force, where he served for 20 years. While in the military, Roger and his family were stationed in California, Alaska, Texas, Germany, and Ohio. It was while they lived in Texas that Roger completed his Oral Surgery Residency in San Antonio. Roger retired from the Air Force in 1995 with the rank of Colonel, at which time he moved to St. Joseph, MO to begin his private practice of oral surgery. He also practiced in Atchison and Leavenworth. Roger retired from his oral surgery career in 2013. In retirement, his family relocated to Olathe, KS. Throughout his life, Roger was an avid traveler, visiting over 20 countries. He loved hunting and spending time on his farm. He also had a great appreciation for the performing arts, whether it was performing himself on stage, or watching his loved ones perform. He found great joy in attending his grandchildren’s sporting events and recitals. Roger is preceded in death by his granddaughter, Katie Erin Smith; nephew, Robby Buford; and brother, Dennis Smith. He is survived by his wife of 45 years, Rebecca; son, Andrew Smith and wife Kelly; son, Jordan P. Smith; daughter, Mallory Drake and husband Joshua; four grandchildren, Eva, Connor, Liam and Kellan; and sister, Janet Buford. Roger’s family would like to thank the doctors, nurses, and staff at Olathe Medical Center and Cancer Center who provided wonderful care. They would also like to thank the compassionate nurses and caregivers at Olathe Hospice House who gave such loving attention and care to Roger in his final moments. I was so sorry to hear of Roger's passing. He was always so friendly to us and our children. When our son Aaron was injured in Washington DC a few years ago and had to have serious facial surgery, Roger was very interested and supportive. He was a wonderful Christian and man. Blessings to all of you. I am very sad hearing about Roger's death. I have known him always and attended Stony Point with him and all of our friends. We were blessed by knowing him and being good friends. I will keep his family in my prayers. He loved his family so much and was so proud of his grandkids. That is something we have in common. He will be missed. Although I didn't know Roger as well as some, I did recognize what an outstanding individual he was on both a personal and professional level. I always wanted to "be like Roger" because he possessed all the qualities we all would do well to emulate. Condolences to family and loved ones.